Paul Morris from Glan Conwy is now a fully Qualified driving Instructor after completing all of his instructor training with Marcus. Paul passed all 3 of the qualifying tests within 12 months. Paul also took advantage of the trainee licence option which meant that he could cover most of his training costs by instructing while he trained. 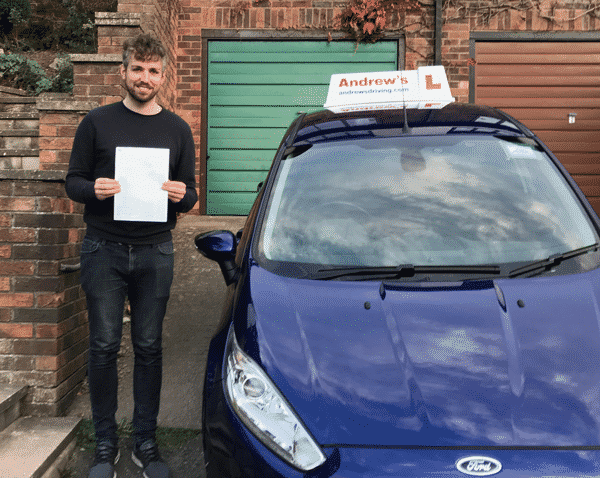 Paul now works as successful Instructor with a local driving school and drives a top of the range Ford Focus. Tel: 07833 554255 Email marcus@instructorinstructor.co.uk Call text or email today and lets get started. Ordit approved driving instructor training. If you are looking for a change of career , teaching people to drive can be a very rewarding career. With my help you can be teaching your own pupils and working hours to suit your lifestyle within a very short time. I can provide you with a short term risk free franchise during your part 3 training. You can work on a trainee licence, I will provide the pupils this means that not only will you become a confident instructor sooner but also that you will earn while you learn.